Our team is a dynamic and welcoming team of expert forensic and clinical psychologists who work nationwide delivering expert witness assessments, treatment, training and consultancy. 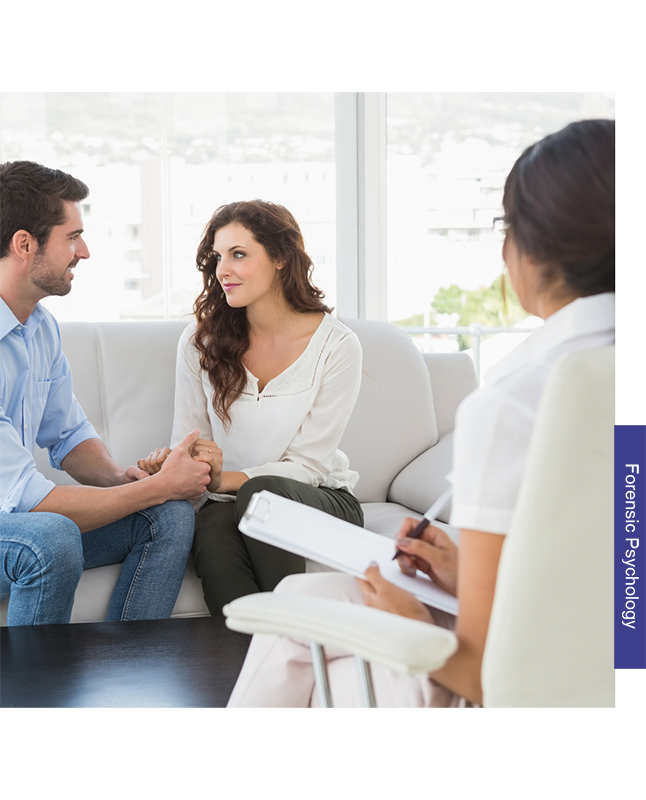 Tully Forensic Psychology was set up in 2012 by HCPC Registered and BPS Chartered Forensic Psychologist Dr Ruth Tully (BSc(Hons), MSc, DForenPsy, CPsychol, EuroPsy, AFBPsS, CSci, MAE, AFHEA). We expanded from there and are now a small team of specially selected expert forensic and clinical psychologists who provide assessment, treatment, training, and consultancy services. Dr Tully is the Clinical Director of services, and she oversees the whole team of consultant, senior, associate, and assistant clinical and forensic psychologists nationwide. We are proud to be based in Nottingham, but with associates based throughout the UK, so that we can deliver services and take instructions nationwide. We specialise in providing independent forensic psychology expert witness services in relation to a range of clients. These include clients who may be at risk of committing (or who are alleged to have committed), a criminal offence. Clients may be victims of crime or abuse themselves. Examples of expert witness services include assessments for life/indeterminate (IPP) sentence/recall parole purposes, Category A review panels, as well as for Court (criminal, family, civil), within care proceedings, Mental Health Review Tribunals (MHRT/MHT), immigration/deportation cases, and Local Authority (LA) commissioned family or individual assessments. We frequently undertake legal aid funded work. We provide expert psychological assessments for religious organisations and sporting organisations in relation to safeguarding, risk, and other matters requiring psychological expertise. We are on the National Crime Agency (NCA) list of expert advisors, providing reports instructed by the Police and Crown Prosecution Service (CPS) as well as instructed by the defence. We also provide therapy and treatment services to a wide range of people. Our team provides training to individuals and large services such as the NHS and private service providers, and are proud to also offer treatment that impacts positively on people’s lives. The training and consultancy that we provide covers many areas of clinical forensic psychology, as well as us offering training that is relevant to areas wider than forensic psychology. Ruth has provided training nationally and internationally to hundreds of professionals in various areas including risk assessment and sexual offending. Between the team, our range of expertise lends to us being able to provide a range of bespoke training.